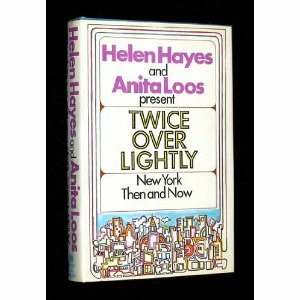 twice over lightly. – teamgloria, inc.
Posted on October 6, 2012 by teamgloria in people., places. 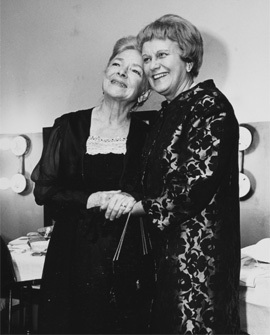 in 1972, Anita Loos and Helen Hayes (then both in somewhat Advanced ages of life but having had a Most glorious set of Lives between them – Broadway, Hollywood and the odd “cure” in a Swiss Clinic to boot – we cast no aspersions, anita was doing Research for Hollywood) wrote a book called: Twice Over Lightly. 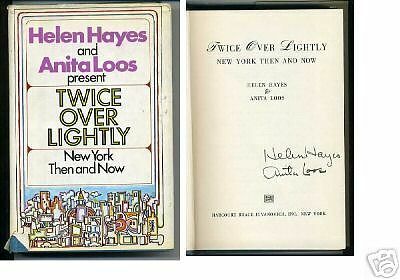 now Twice Over Lightly is the Most Entertaining results of two smart, sassy and curious women who wanted to discover the hidden nooks and darkest most strangest secrets of New York City. they had both lived here for many years. but their lives had revolved around the Theatre and the movies (and we’re talking D. W. Griffiths and the Silent movies not just Gentlemen Prefer Blondes) and Helen even has a theatrical establishment named after her (where Rock of Ages is currently playing – we can just imagine Anita and Helen grabbing their glorious winter coats and heading for the exit as soon as the final crescendo of heavy rock ensues and giggling gently as they walk, arm in arm, to Carnegie Deli for a slice of dry toast). so Anita and Helen (may we call them that?) decided to explore the NYC that they didn’t already know – and had great adventures. you know where we’re going with this post by now, we assume? we’re going to take a Few Chapters out of Twice Over Lightly and re-enact them. with some of our friends. and – darlings – with you. the Clock is Ticking on our time in this dark and strange yet bold and beautiful city (10 weeks and counting) so we’re going to Celebrate it to the max. where would You go in NYC if you had a free afternoon or twenty? Next Post becoming a hyphenate. Can hardly wait for your adventures to begin! I will live the life/lives of Helen and Anita vicariously through you. 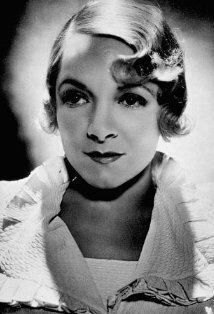 we shall have Many Adventures as recounted by Ms. A. Loos upon our re-entry to Los Angeles – her Hollywood picnic with A. Huxley and M. Dietrich and Krishnamurti deserves a re-enactment – non? loving you from the slightly chilly East.